Heh, remember my beauty hauls bought online recently? 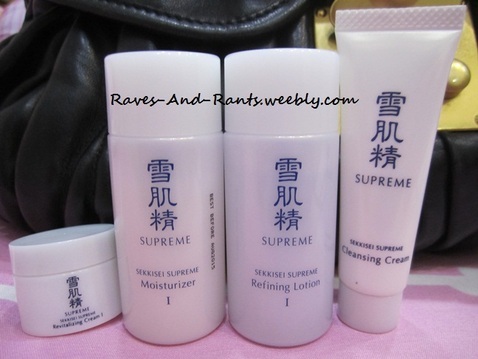 Yes, I’ve also ordered the Kose Supreme Sekkisei skin care products which I have been wanting to try them for a goood long time but haven’t done so because they are so expensive! And I mean those over the counters, full sized bottles.. If you have to get the whole skin care products and I’m talking about those basic ones (Cleanser, Toner and Moisturiser), it’s definitely gonna cost a bomb! 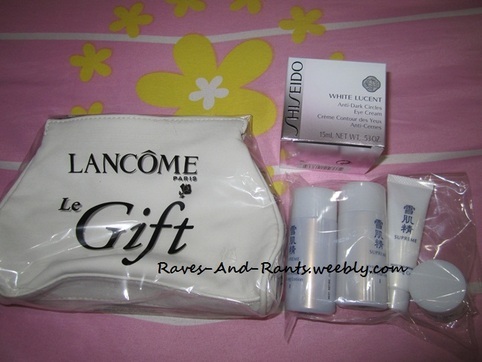 The trial set I’ve received costs approx $26 which includes the cleansing cream (make up remover). lotion, moisturiser and revitalising cream. So anyway, moving on to the next product – Lotion. Before I’d start, if you are new to Kose products, you will need to understand that they have branded themselves as catering to different types of skin care specifically but not clearly on their products. You will have to either seek assistance from the salesperson or google to find out more (like what I did). There are 2 types to their skin care products – I and II. Products stating I at the end of the product name caters to skin types belonging to the ‘normal – oily’ category whilst II caters to those with dry skin. As I fall under the ‘combination’ skin type, I’d chosen I. Here comes the next step – moisturising after toning. 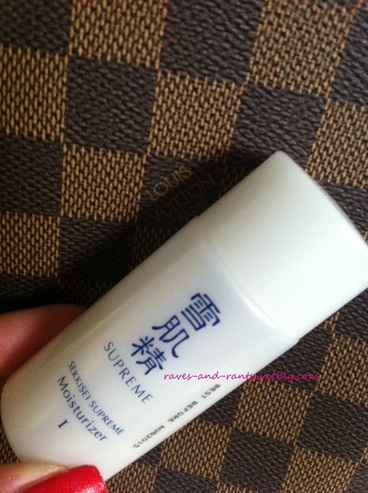 I like this moisturiser because it feel light and fresh as well when applied. 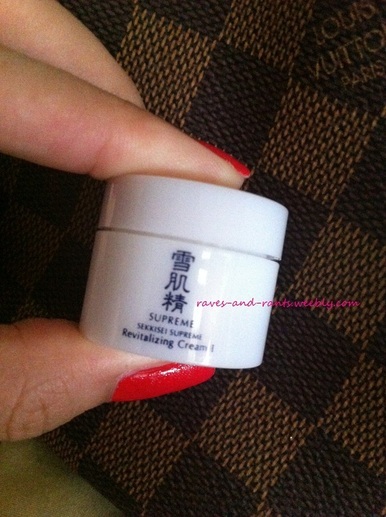 It’s not oily/sticky too and is more diluted compared to the cream. I’ll use my 2 fingers to swipe it across my face upwards and outwards 🙂 No cotton pads needed. 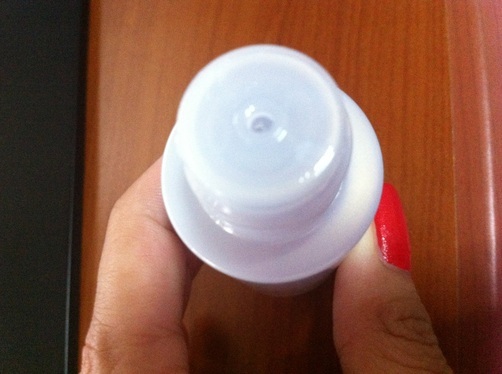 The only thing which I loathe is the small opening of the 2 bottles (lotion and moisturiser). 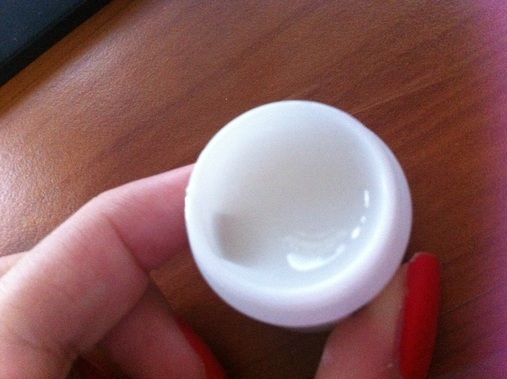 It’s quite difficult to get the liquid out of the tiny hole shown below. I would prefer a spray-type over bottle caps anytime. As the name suggests, this product would be ‘richer’ in ingredients and much more heavier in texture and weight compared to the moisturiser. It may seem like an additional step to take compared to the usual 3-step basic skincare regime, but I’m quite sure that proper and adequate moisturising is essential. More so if you do not consume adequate fluids. This too gives a sense of tingling cool feel when applied onto the skin. Dab 3 to 4 spots on your face on the left and right cheeks, forehead and chin if you’d like. Then slowly massage it into your skin upwards and outwards.